Your lobby or reception area is the forefront of your business, so why not provide distinguished and comfortable seating for your visitors and guests. 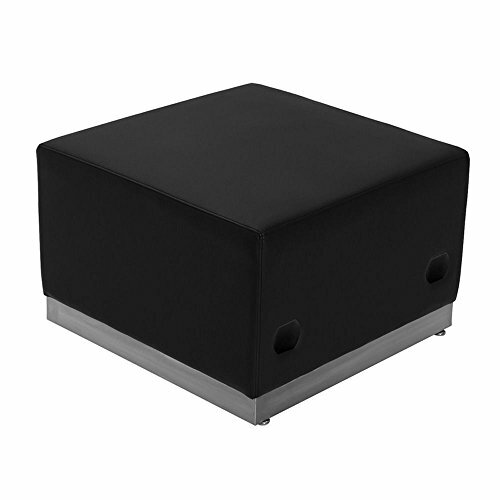 The Alon Series offers a collection of modular pieces, including this ottoman, that will allow you to reconfigure the space to accommodate your guests as your business grows. The Alon Series ottoman is constructed with LeatherSoft upholstery that combines leather and polyurethane for a soft yet durable feel over the firm foam seat. The brushed stainless steel base won"t attract dirt, and adjustable floor glides allow you to compensate for uneven floors. Locking bolts connect the pieces together, and CAL117 fire retardant foam is used in all cushions. If you have any questions about this product by Office ChairsDOTcom, contact us by completing and submitting the form below. If you are looking for a specif part number, please include it with your message.